FIRST… we ask you to envision yourself at the finish line, having achieved your financial goals and objectives. THEN… we help you think backwards through a maze of problems, mistakes and pitfalls which might prevent you from reaching that finish line. NOW… you’re ready to begin. 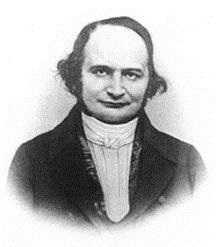 The Jacobi Method™ was inspired by the original studies of the great mathematician Carl Gustav Jacobi. The namesake of our firm, Jacobi is one of history’s greatest mathematicians, and widely considered the most inspiring teacher of his era. Often quoted by Charles Munger of Berkshire Hathaway, one of Jacobi’s favorite maxim’s was “Invert. Always invert.” (man muss immer umkehren). He strongly believed the solutions to complex problems could be solved by inverse re-expression. Our firm follows this advice. We analyze your goals and potential risks, and diligently consider “What if…then what?” before we invest on your behalf.